AGWT Executive Director was the keynote speaker at the Wisconsin Groundwater Conference held in Wisconsin Dells. His presentation covered the world-wide phenomena of the development of energy from shales and then focused on mining controversies in Wisconsin. Nearly all of the sand used by the US Oil & Gas industry to “prop-open” the cracks formed by hydraulic fracturing is mined in Wisconsin. 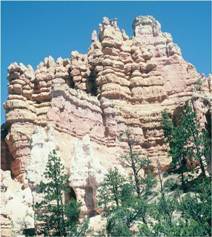 Geologic history has given Wisconsin valuable sources of sand that meet all the specifications of size, roundness and hardness that are used in the development of fuels from shale. Protests against mining a re based in part on local environmental concerns about air and water quality but also some people express concern that that allowing sand mining is “enabling” shale-gas development in other states. This issue in Wisconsin has become political and involves questions about how much control should be local and how much of the debate is about wider issues of climate change and renewable energy sources. 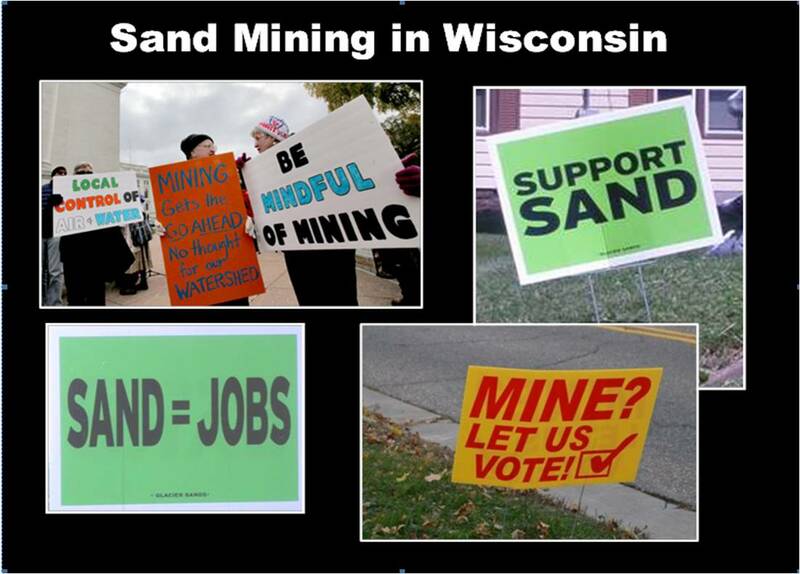 Roadside signs and protests about sand mining in Wisconsin are very similar to fracking protest signs in those states where shale reserves occur. Wisconsin has iron and other minerals as part of its geologic heritage but no oil or gas potential. The environmental and the legal issues in the state related to sand mining are far from over and when (if) methane prices rise there are likely to be increases in hydraulic fracturing which will result in greater demands for the opening and expansion of sand mining operations. The United States Census Bureau last collected drinking water source information in 1990. The trend from 1970 to 1990 showed a steady increase in the per capita use of private wells to supply drinking water to New Hampshire homes. In 1990, New Hampshire had the second highest number of private drinking water wells per capita (37.5 %) behind Maine (41.9%) and just ahead of Vermont (36.8%). The percentage of dug wells in New Hampshire was 9.3% ahead of the next closest state by over 3 percentage points (Vermont; 6.1%). Although the US Census unfortunately has not collected information on private drinking water supply in nearly 25 years, the predominately rural character of New Hampshire has not changed and private water wells continue to be a significant source of drinking water for a large portion of New Hampshire’s 1.3 million citizens. Residential water wells are a healthy safe source of drinking water across most of New Hampshire (and New England). However, because residential wells are not regulated and actively monitored by any government agency it is important for home owners to understand the operation and maintenance processes needed to keep a water well functioning properly. When local issues with water quality or quantity arise private water well owners must be aware of appropriate water treatment options to correct the problem conditions. In 2010 (the latest available data) the US Census reported that 18,900 existing homes and 1,890 new homes were sold in New Hampshire. From this backdrop it is clear that Realtors® can play a valuable and significant role during the property transaction process in helping homeowners learn the basics of water use and protection regarding private water wells. This January, American Ground Water Trust offered its long-running course for Realtors® entitled “Residential Water Wells and Drinking Water” to 65 members of the Lakes Region Board of Realtors® in Meredith, New Hampshire. The course is state-approved for realtor continuing education credits in New Hampshire, Maine and Vermont. The three-hour course covers the geology of ground water sources in these states, the types of substances one may find dissolved in New England groundwater, water treatment solutions and water consumption and on-site waste disposal options to keep residential groundwater/drinking water sources safe. For more information on AGWT private water well workshops and courses please send an email by clicking on [email protected] or you may call us at 800-423-7748 between 9 and 4 Eastern Time. The AGWT December co nference program on the Conjunctive Use of Groundwater and Surface Water was a follow-up conference to the program that was held in 2012, which discussed river accretions due to artificial recharge and stream depletions due to well pumping. A major feature of the 2013 event was active participation by state legislators. (Pictured at the microphone is Rep Randy Fisher flanked to his right by Senator Scott Renfroe and Rep Lori Saine). 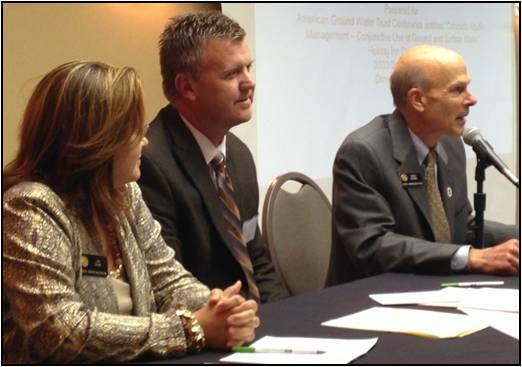 Other legislator participants were State Representatives Don Coram, Steve Lebsock, and Dave Young. The conference presented information about alluvial stream/ aquifer systems and the ways in which models of their hydrology are used for management decisions that protect water rights while optimizing beneficial use. This issue is of importance for all the major rivers in eastern Colorado have hydrologic connection with alluvial aquifers and are impacted by irrigation and groundwater pumping. In a keynote presentation, John Stulp, (pictured), the Governor’s advisor on Water Issues and Director of the Colorado Interbasin Compact Committee (IBCC) presented an overview of the vision and goals for the Colorado Water Plan mandated earlier in the year by Governor Hickenlooper. He stated that population growth in Colorado is set to double by 2050 and that there would likely need to be changes to the current water use in the state which is 89% agricultural, 9% is municipal and industrial, and 2% self-supplied industrial. The creation of river basin roundtables and the IBCC has created a process through which water management discussions and decisions can take place in a bottom-up fashion that takes local variability into account. A CD of the presentations (PDF format) offered at the Denver Water Conference is available for a small fee that supports the education programs of the American Ground Water Trust. Send an email to the Trust for more information. Electricity and water consumption are intimately connected. No example is clearer than the use of high capacity wells for municipal and agricultural water production. Operating and maintenance costs are a significant component of water production and can exceed the cost of treatment needed to prepare well water for distribution. AGWT brought together water design and treatment experts for a one-day workshop (Water Well and Pump Performance: The Economic Basis for Water Well Operation, Rehabilitation & Maintenance Decisions) in Phoenix to describe the importance of proper design and planned maintenance programs to keep high-capacity water wells operating efficiently. Poorly designed wells require excessive electricity from day-one to meet production targets. Associated sub-par physical designs can lead to extra maintenance and eventually to premature failure and abandonment of wells. The utility and agriculture industry professionals in the audience learned techniques and strategies for determining appropriate well designs and maintenance red flags to avoid excessive expenses while extending the capital value of their well systems. AGWT is grateful for the volunteer time and experience extended to the workshop by the presenters (picture, front row from left) Kevin McGinnis, Cotey Chemicals; Jim Bailey, Shannon & Wilson; Tanner Tryon, Hose Solutions, Inc.; (picture, back row from left) Dan Peters, Yaskawa America, Inc.; Neil Mansuy, Subsurface Technologies; and Kevin McGillicuddy, Roscoe Moss Company. 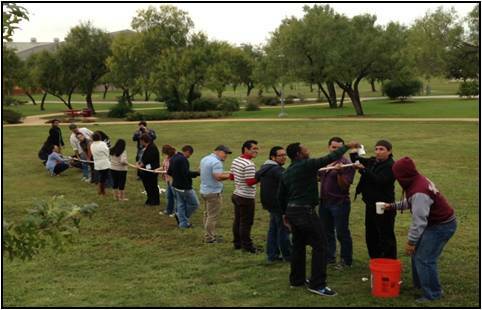 A CD of the presentations (PDF format) offered at the Phoenix Well and Pump Performance workshop is available for a small fee that supports the education programs of the American Ground Water Trust. Send an email to the Trust for more information. The AGWT, in partnership with the San Antonio Water System (SAWS) organized the third annual training session at Palo Alto College for teachers from Central America. The teachers are in the US participating in a year-long Cooperative Association of States Scholarship program funded by the U.S. Agency for International Development. The training program involves giving basic background on water supply sources and water quality, getting the teachers motivated to include a focus on water in their classes and includes “hands-on” exercises to help develop and enhance water learning when the teachers return to their home countries. In the photograph the teachers are involved in a “water pipeline” exercise that compares the infrastructure logistics and cost of on-site well water with the costs of water delivered by pipeline. Close to 300 people attended the AGWT program in Tulare, California for a one day forum dealing with groundwater overdraft issues in the Central Valley. The audience of growers, irrigation managers, engineers, hydrologists, agency professionals and attorneys shared information regarding the challenges, feasibility, regulatory concerns and the economic benefits of groundwater management options. Presenters from Texas, Kansas and Colorado explained the legal and administrative basis for groundwater management in their states. The event was planned by the AGWT in partnership with the Kaweah Delta Water Conservation District and the Tulare Irrigation District. A CD of the presentations (PDF format) offered at the Tulare Conference is available for a small fee that supports the education programs of the American Ground Water Trust. Send an email to the Trust for more information. 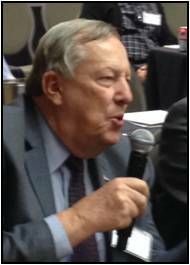 Martin Orio (picture) was a key presenter at AGWT’s Geothermal Innovations workshop in Marlborough, Massachusetts on October 23. Mr. Orio, President of the New England Geothermal Professional Association and Vice President of Water Energy Distributors (Hampstead, NH) presented an update of the legislation in Massachusetts and New Hampshire regarding Thermal Energy Credits, Renewable Portfolio Standardsand the role geothermal heat pumps can play in these incentive programs to produce and consume energy more efficiently in New England. New Hampshire is in the roll out stage of enacting NH Senate Bill 218 that became law in the fall of 2012 and the Massachusetts legislature is in the middle of debating MA Senate Bill 1593 that is expected to be promulgated as law in 2014. Both these pieces of legislation are at the cutting edge of formally recognizing thermal energy associated with geothermal heat pumps as valuable and appropriate for energy credit programs in Renewable Portfolio Standards that electric utilities must meet. Including GHPs in thermal energy credit programs will increase the recognition of the technology and its value within the heating and cooling marketplace, which can be expected to lead to increased installations. 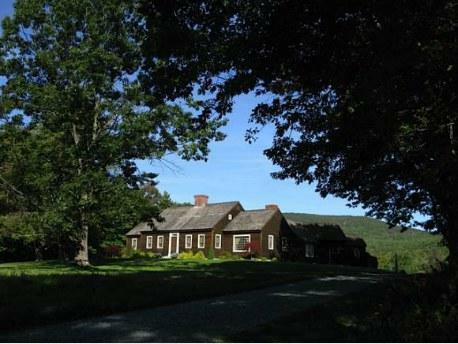 A CD of the presentations (PDF format) offered at the Marlborough, Massachusetts Geothermal Innovations workshop is available for a small fee that supports the education programs of the American Ground Water Trust. Send an email to the Trust for more information. The October AGWT “Well & Pump” program in Alaska added another state to the 22 US states and Canadian provinces where the workshop program has been held. Before returning to the lower 48, three of the program presentation team took in a few hours of sightseeing. Pictured left to right are Kevin McGinnis (Cotey Chemical), Andrew Stone (AGWT) and David Kill (Goulds Xylem) visiting the braided Manatuska River northeast of Anchorage flowing with glacial meltwater. AGWT Executive Director Andrew Stone was a guest speaker at a Johannesburg workshop program, “Integration of Groundwater Management into River Basin Organisations” convened by the Orange-Senqu River Basin Commission. His presentation assessed environmental risks that might occur if shale deposits in the South African Karoo are developed for gas production. 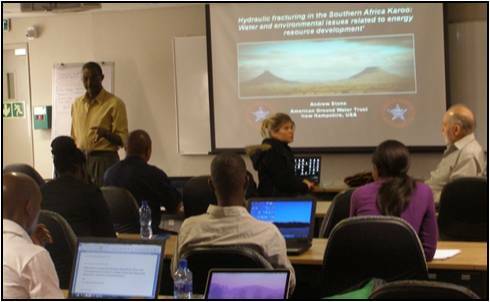 The protograph shows Professor Prof. Tamiru Abiye from the University of the Witwatersrand introducing Stone to the audience of water managers from South Africa and other southern African countries. Following the Johannesburg workshop Andrew Stone spoke to an audience of geologists and hydrogeologists at the Council for Geosciences in Pretoria on experiences on Water & environmental issues related to energy resource development in the US. Aquifer Storage Recovery and Minimum Flows and Levels were the subjects of the AGWT’s thirteenth annual Aquifer Management Conference held as usual in Orlando. The important issue of managing groundwater to ensure lakes and rivers maintain minimum flows and levels was a focus for many of the presentations. Groundwater pumping from water storage in aquifers is a key element of MFL strategy. However, prioritizing groundwater use for maintaining MFL can restrict availability for economic water supply use. The Conference explored how ASR technology can provide a flexible water management tool that can play a key role in achieving the twin objectives of maintaining water utility, industrial and irrigation needs and MFL objectives. Because rivers and lakes often occur in shared jurisdictions, there is a challenge for water management districts and end-users to achieve a “level playing field” of mutually agreed MFL and water use thresholds. A CD of the presentations (PDF format) offered at the Florida ASR Conference is available for a small fee that supports the education programs of the American Ground Water Trust. Send an email to the Trust for more information.